For a moment, please put aside whatever marvelous thing you've been doing, whether phoning a friend, watching TCM in your jammies or, maybe, working, and listen up. 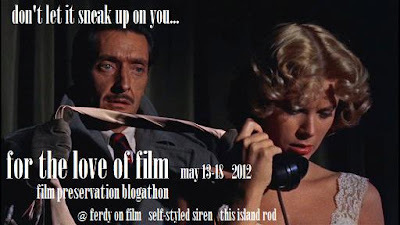 The final instructions regarding For the Love of Film: The Film Preservation Blogathon III, are here. This year, we are raising funds for the National Film Preservation Foundation's project, The White Shadow, directed by Graham Cutts and written, assistant-directed, and just generally meddled with in a number of different ways by the one and only Alfred Hitchcock. The goal is to raise $15,000 to stream this once-lost, now-found, three-reel fragment online, free to all, and to record the score by Michael Mortilla. Marilyn Ferdinand, Rod Heath and the Siren are pleased to announce that we now have more than 100 bloggers signed up for this hoedown. Good onya, as they say in Rod's part of the world. Here's what you do. 1. We kick off Sunday, May 13, at 10 am EDT and we wrap at 10 pm on Friday, May 18. Your post should go live between those two times. And you can get an absolutely corking donation button right here. We love you all, but if you don't have that link, we can't link to your post. 3. Last, the response was amazing and the participation bigger than ever, which was heart-warming and a beautiful thing, but it took a lot out of Marilyn and the Siren. The Siren, in fact, had a dream one night about entering html links. In order to make things a bit easier, we are rotating the home blogs this year, as follows. 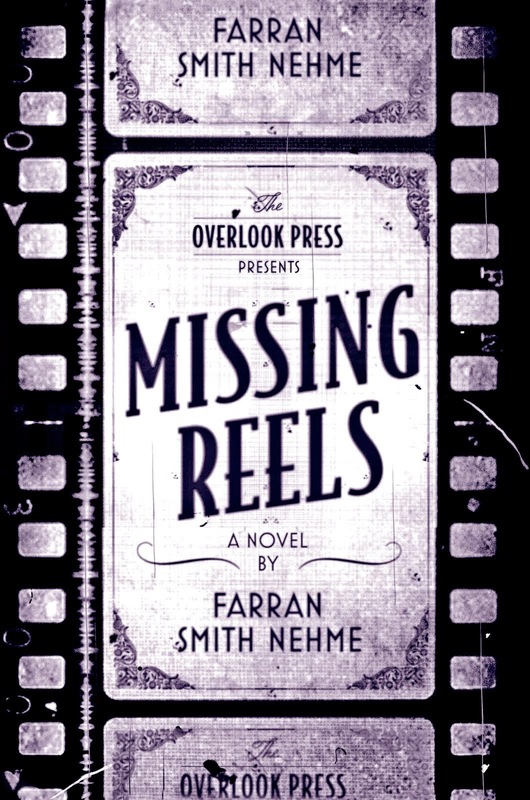 Sunday May 13 and Monday May 14, the home blog is Ferdy on Films. Go to the comments at Marilyn's place and leave a link to your post. She will link from there. Tuesday May 15 and Wednesday May 16, it's the Siren's turn. Procedure the same. Thursday May 17 and Friday May 18, our genial host is Rod Heath at This Island Rod, the gentleman who made all the fabulous banners for this blogathon, still available here. One thing to note: Rod is Under Capricorn, meaning he's in Australia, and unless html dreams are keep him awake all night, he is quite likely to be asleep during part of the North American day. So please be patient about his updates. One more, very important point: You can participate at any point during the blogathon. You don't have to have signed up already. And this isn't restricted to film blogs, either. All we ask is that you include the donation link (can't stress that enough), and post about either something related to The White Shadow--any aspect of Hitchcock, Graham Cutts etc.--or about film preservation. Let's do it! And please, spread the word far and wide--Twitter, Facebook, your mom, whatever. The more people who know about this, the more money we can raise. "One thing to note: Rod is Under Capricorn, meaning he's in Australia..."
Is it okay that I jumped the gun a bit? I couldn't resist. Sure -- if you're using that for the blogathon proper, just be sure to pop up in Marilyn's comments and point it out on Sunday. Since the link goes to the main NFPF site, do we need to specify that the funds are part of the blogathon or are for The White Shadow? Peter - nope, the link is specific to the blogathon -- look at the address.